Is it possible to create a quote form that when a person selects a certain answer (say in a dropdown list) the answer has a dollar amount attached to it? After the person answers 5 or 6 answers on the form a dollar amount is totaled and the personis emailed with a dollar amont quote? 4) On the options tab, enter your products. Specify your price here with a dollar sign. 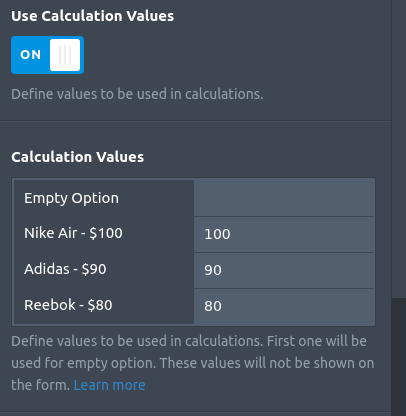 5) Scroll down and enable "use calculation values". Specify the price again (this is to be used in calculations, so do not include the dollar sign". 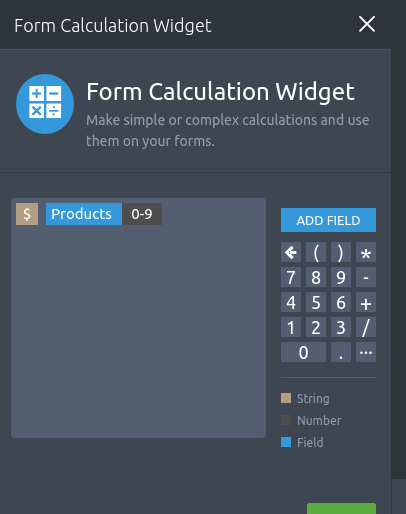 6) Add a form calculation widget to your form. And label it as "Total". You can search for it on the left under the widgets tab. 7) Open the wizard for the calculation widget (magic wand icon). And then click on add field. 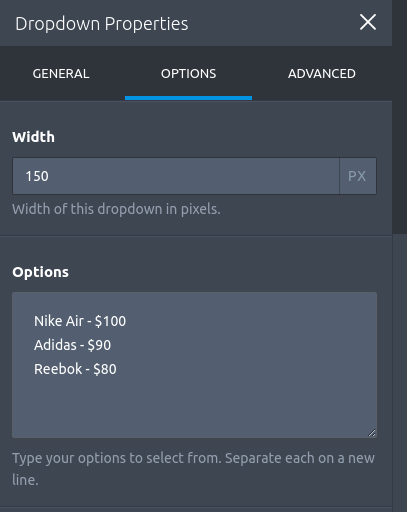 Choose your dropdown list ("Products" in our example) and hit save. 8) Add an email field to your form. It will automatically setup an autoresponder email. So your customers will be sent a copy of the submission.